State Board of Technical Education and Training Telangana (SBTET Telangana) successfully conducted TS SBTET Type Writing (TW) & Short Hand (SH) exam in the month of July 2016. A huge number of candidates who are pursuing the same appeared for the exam across various centers. All the candidates who had written the exam are eagerly waiting for the results. Now, the wait is over. 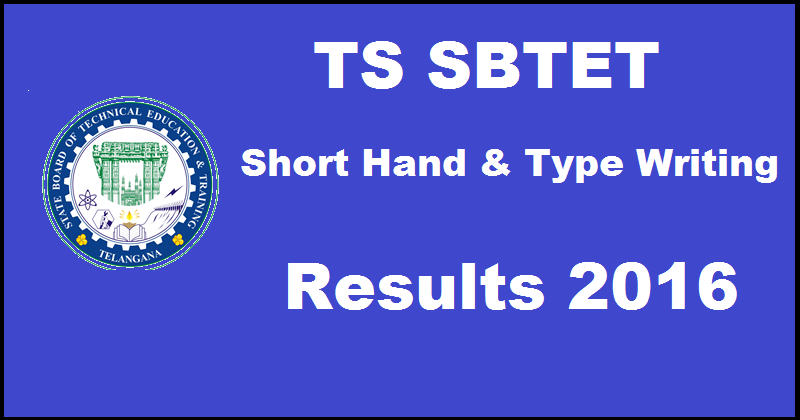 TS SBTET declared Short Hand & Type Writing Results. Candidates who had appeared for the exam can check the results from the direct link provided below. The Board was created under the authority of Government of Andhra Pradesh as an adjunct office of the Department of Technical Education. While the Technical Education Department concentrates more on the administration and developmental aspects. The important function of the board is to advise the Government on the coordinated development of Technical Education in the State at all levels below Under-Graduate level. It conducts examinations every year for admissions into different programs. This year it has conducted Short Hand & Type Writing exam and the candidates who had appeared for the exam can check the results from the official website. 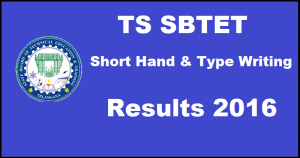 TS SBTET declared Short Hand & Type Writing July Results. Candidates who had appeared for the exam can check the results from the direct link provided below. Click on Telangana SBTET SH & TW Results 2016.